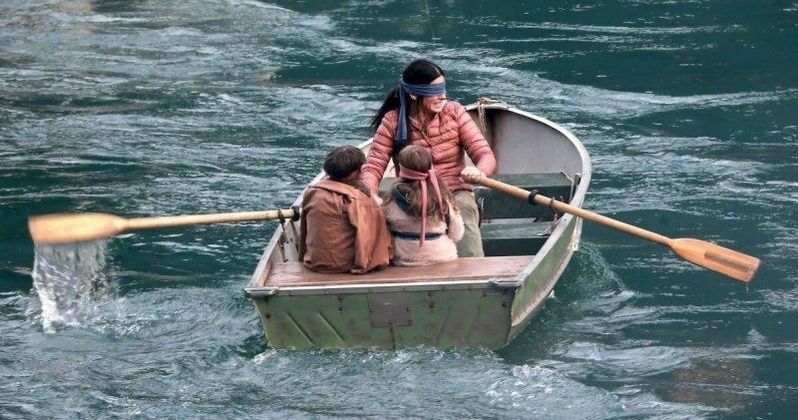 Netflix has come under fire for using footage from a real-life, deadly accident in Bird Box. However, the streaming platform has announced that they are going to keep the footage in the movie. The footage in question is from the Lac-Mégantic rail disaster in 2013, which left 47 people dead and is considered to be one of the worst rail incidents in Canadian history. The very same footage was used in Netflix's Travelers series, but the production company is looking for a way to remove it. The accident footage is featured early on in Bird Box to show the world going into chaos and it was purchased from stock footage supplier Pond5, which has millions of video clips that include news coverage and archival footage. The company released a statement apologizing for the incident and says that it's pretty rare that something like this happens. Julie Morin, mayor of Lac-Mégantic also released a statement. She had this to say. "I don't know if this is happening all the time, but we are looking for assurances from Netflix that they are going to remove them. You can be sure we are going to follow up on this, and our citizens are on our side." In return, Netflix says that it is exploring avenues to make sure that an incident like this doesn't happen again. However, they are not going to remove the train accident footage from Bird Box. A statement says that they "will keep the clip in the movie." Julie Morin says that the footage included in the movie is "really a lack of respect, to use these images as fiction and entertainment." Morin is looking out for the families who may have been effected by the tragedy. Bird Box has been causing quite a bit of controversy lately. When the movie first premiered, it ignited the Bird Box challenge, which immediately went viral. People were shown wearing blindfolds, like they do in the movie, trying to get through normal daily routines. People have been getting hurt and in one case, hurting others. A teenage driver in Utah decided to try the challenge while driving her car, which resulted in a collision with another vehicle and a pole. Thankfully, nobody was seriously injured. Bird Box has proven to be a huge hit for Netflix since its release late last year. During the first week, the streaming platform announced that it had been streamed in 40 million households, making it the biggest debut for their original content. Earlier this week, the company released a letter to stockholders anticipating that the movie will hit 80 million households in the coming days. Despite the popularity, Bird Box has been pretty divisive amongst fans and critics. Whatever the case may be, it's one of the biggest hits that Netflix has ever had. You can check out Netflix's statement over at AP News.